Gulf Place would like to congratulate the Cultural Arts Alliance of Walton County on the success of 30A Songwriters Festival 2017. If you love animals and are looking for a job filled with furry friends, you're in luck! 30A Vet is looking for a Front Office Client Relations Team Member. Can we let you in on a little secret? Pizza by the Sea offers HALF-PRICED pizza weekly to customers who know their "secret" word. THIS Saturday morning YOLO Board + Bike will host their weekly trail ride. YOLO Board + Bike at Gulf Place is SELLING their used rental bikes! The 30A Store at Gulf Place is offering 10% off apparel and home goods through the end of the month for all SnowBirds currently in town. Early spring styles have arrived at SOHO Beach. Mondays just got even better! La Playa, located on the corner of Scenic Highway 30A and County Road 393, will host The Bankwalkers every Monday from 7 p.m. to 10 p.m.
During the month of October, Gulf Place will host a series of events, including the 30A Half Marathon and 5K, a OneBlood drive, and the 15th Annual Witch Ride, each benefitting different charities and non-profits. Gulf Place will serve as the official headquarters for the third annual 30A Half Marathon and 5K, presented by The 30A Company and 360 Blue. All proceeds from this year’s race will benefit The Sonder Project, a global nonprofit organization focused on high-impact, sustainable solutions aimed at ending extreme poverty and hunger worldwide. The event will kick off that Friday, October 12, with the 30A BBQ Festival from 6 to 9 p.m. which will take place at the Marina Park in WaterColor. Festivities will include live entertainment along with unlimited BBQ and beer for guests to enjoy. On Saturday, October 13, racers and guests are invited to the packet pickup and expo from 10 a.m. to 6 p.m. at Gulf Place. The main event will begin at 7 a.m. on Sunday, October 14, with the start of the half marathon, followed by the 5K which starts at 7:25 a.m. Finishers will receive a custom medal, while all participants will receive a race t-shirt and goody bag. New this year is the introduction of a prize purse, featuring over $20,000 in cash prizes to award the overall top five men and women as well as the top masters for the men and women. On Friday, October 19, the OneBlood Big Red Bus will be in the Gulf Place parking lot, located behind the stage, beginning at 11 a.m. for a community blood drive. OneBlood is a not-for-profit 501(c)(3) community asset responsible for providing safe, available and affordable blood. All donors receive a wellness checkup including blood pressure, pulse, temperature and iron count, as well as a cholesterol screening. Blood that is donated on October 19 will likely be transfused within two to three days in order to fulfill the constant and ever-present need for blood. For those wondering if they qualify as a candidate for donation or to learn more about the importance of blood donation and how donors can target the power of their blood type, visit oneblood.org. Kick off the Halloween festivities with the 15th Annual Witch Ride beginning at 7 a.m. on Wednesday, October 31, at Gulf Place. Each year, the Witches of South Walton, Inc., a 501 (c)(3) nonprofit organization founded by Carol Stafford and Lee Thompson, host the ride event in order to raise money for the Children’s Volunteer Health Network (CVHN) in Santa Rosa Beach. In 2017, the event raised over $8,800 for CVHN and this year the Witches of South Walton hope to reach their goal of $10,000. Registered riders can expect to enjoy a leisurely morning bike ride along Hwy. 30A, followed by a Gathering Brunch at Shunk Gulley Oyster Bar. Participants are welcome to bring their own bikes or rent one from Big Daddy’s Bike Shop located in Gulf Place. Rider registration is now open for $40 in advance or $50 the morning of. To learn more about the event, visit the Witches of South Walton website at http://www.witchesofsouthwalton.com. Gulf Place is a colorful 30A community featuring 1, 2, 3 and 4-bedroom accommodations, swimming, tennis, dining, shopping and the beauty of the clear, emerald green waters of the Gulf of Mexico. 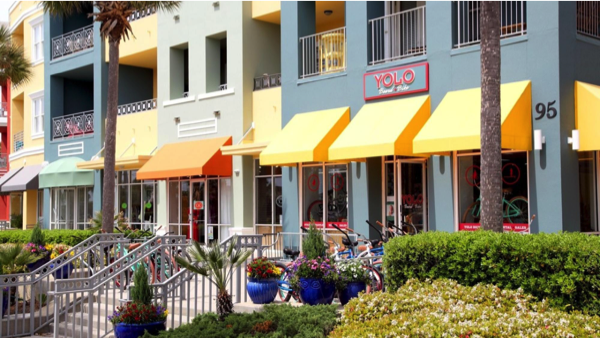 Located between Seaside and Destin, Gulf Place is the heart of Santa Rosa Beach, featuring a host of restaurants, outdoor activities, events, art and shopping. Gulf Place is located on the corner of Scenic 30A and 393 at Laura Hamilton Boulevard, Santa Rosa Beach, FL 32459. For more information, call (850) 267-8458 or go to www.gulfplacefl.com. Find Gulf Place on Facebook, Twitter and Pinterest to stay up to date with current events and specials. 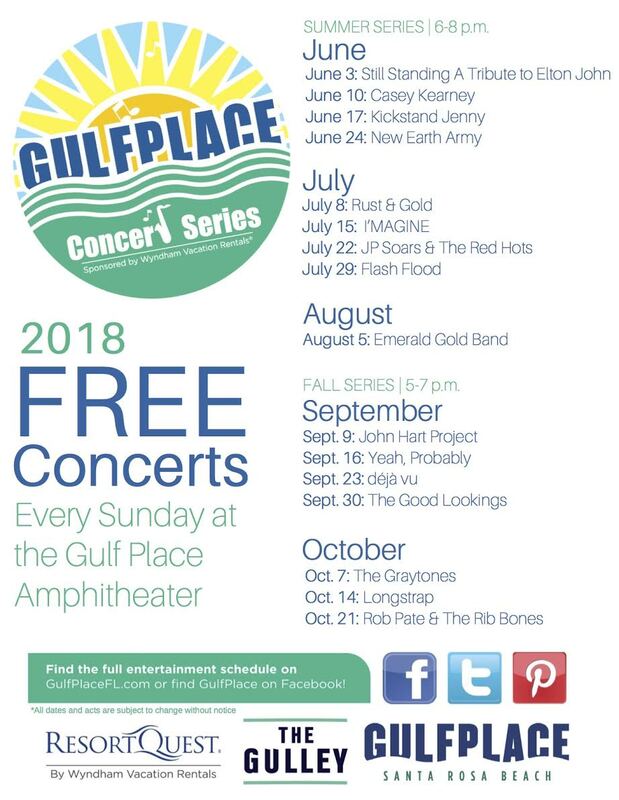 Gulf Place on 30A announces the lineup of the Fall Sunday Concert Series sponsored by ResortQuest by Wyndham Vacation Rentals. Each week will feature a different local or regional band, ranging in genres. Performances will be appropriate for attendees of all ages. Concerts are from 5-7 p.m. and are free and open to the public. Attendees are encouraged to bring their own chairs and blankets to enjoy the concert on the amphitheater lawn. *All dates and acts are subject to change without notice. For more information on the concert series, go to www.gulfplacefl.com or find Gulf Place on Facebook and Instagram. To book Gulf Place lodging, visit ww.WVRNWFL.com and select “Gulf Place” from the Rental Quick Search menu. Headquartered in Fort Walton Beach, Florida, ResortQuest by Wyndham Vacation Rentals has been a local leader in vacation rentals, property management, association management, long-term rentals, and real estate sales along Northwest Florida Beaches since 1977. Formerly known as Abbott Realty, ResortQuest offers the area’s largest selection of professionally managed beach homes, condominiums, and resorts. ResortQuest is part of Wyndham Vacation Rentals, the world’s largest professional manager of vacation rental properties and part of Wyndham Destination Network and the Wyndham Worldwide family of brands (NYSE: WYN). Backed by one of the world’s largest hospitality companies, Wyndham Vacation Rentals provides access to more than 108,000 vacation rental properties in nearly 600 unique destinations worldwide. Wyndham works closely with property owners to ensure all rentals meet its standards for customer service, quality and comfort. Affinity Boutique, located in Gulf Place along 30A, will be celebrating its anniversary on August 15, marking one year of business in the 30A location. 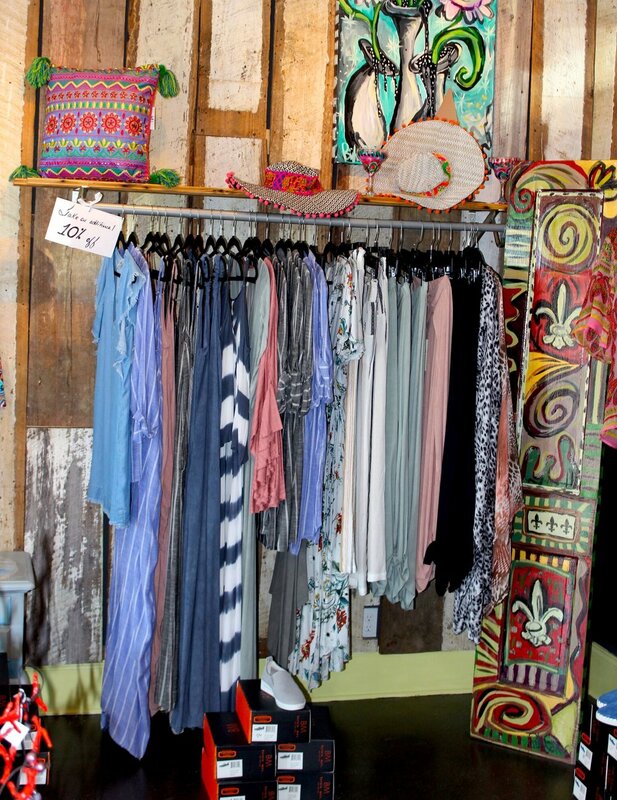 Originally opening their doors in Grayton Beach in 1993, Affinity Boutique has been providing locals and tourists alike with fun and colorful clothing, shoes, and accessories, as well as locally made art from various Emerald Coast artisans. 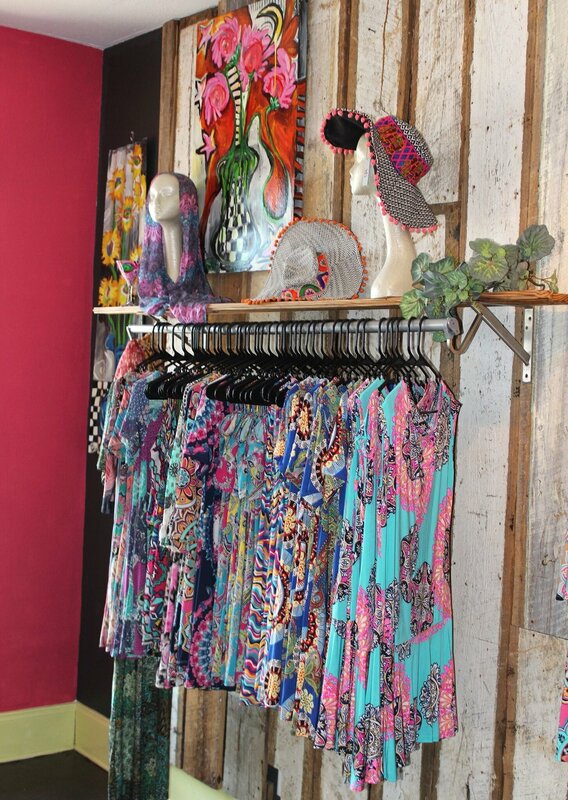 The boutique features various well-known resort wear brands like Elan, Monoreno, Rae Mode, and Yahada, as well as locally made jewelry and art from Rita Cox, Heather Crawford, Cheryl Cross, Lynn Globe, Kris Meigs, and Woodie Long. Throughout the years, owner Theresa Barrett has loved getting to know the loyal customers that continue to shop her store throughout the year, as well as the first-time tourists who are staying nearby on vacation. Most of her clientele discovered the boutique through word of mouth, however, over the past year Barrett has seen a steady increase in visitors and vacationers. “It has been extremely rewarding for me to help people find that perfect outfit or statement piece that they are searching for, all while giving local artists the additional exposure they deserve,” Barrett said. While maintaining the fun, laid back environment of Affinity Boutique, Barrett plans to add a flair to the store by incorporating a wine boutique for her local clientele. Complimentary wine will be given to local shoppers, so they can enjoy their retail experience that much more. Barrett appreciates her local customers and their continued loyalty to the store, which she attributes as the key to her success. “Being able to celebrate another year on 30A is due only to the 25 years of local support,” Barrett said. To learn more about Affinity Boutique, visit their Facebook page, website, or storefront at 56 Spires Lane in Gulf Place. It’s summer, it’s hot, sand is in places you never thought sand would be, the kids are screaming and all you want is a drink. No one has time for overly fancy cocktails – you just want something tasty that comes together in a few seconds. Put your cordless blender and cocktail shaker aside and walk on over to Shunk Gulley Liquor & Wine. Located at Gulf Place, on the corner of 30A and Hwy. 393 Shunk Gulley Liquor & Wine is your one stop shop for all of your beachy beverage needs. Here are a three easy-to-make, perfect beach day drinks that require just pouring a few ingredients, all found at Shunk Gulley Liquor & Wine, together. No shaking, no juicing, no syrup-making and minimal measuring. Just combine everything into a cup, stick it in your cooler to chill, and you’re good to go. cranberry juice, and grapefruit juice! Southbound Greyhound: A Greyhound is a grapefruit – and – Vodka cocktail. A splash and Deep Eddy Ruby Red Vodka and some club soda! Summer Shandy: Grab your favorite beer and another favorite beverage! Popular mixers include lemonade, limeade, ginger ale, and sprite! Not a fan of liquor? Don’t worry! Carrying a variety of wines and beer, Shunk Gulley Liquor & Wine has corkscrews to ice and everything in between to help you gear up for a boozy summer on 30A! Gulf Place is pleased to announce new merchant, Sunrise Ice Cream & Candy, has officially opened for business. 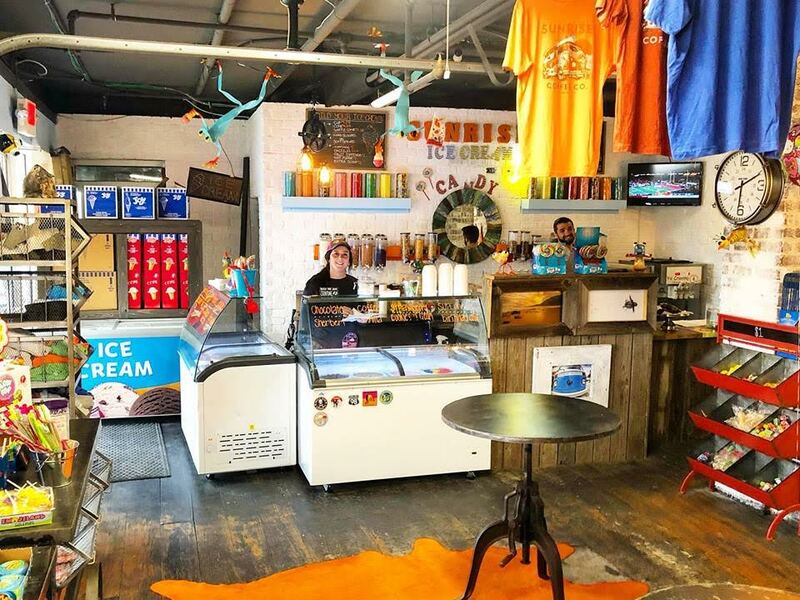 The owners of Sunrise Chair Co. and Sunrise Coffee Co. recently announced their newest endeavor, Sunrise Ice Cream & Candy. Located on the east side of the shopping complex behind La Playa, Sunrise Ice Cream & Candy offers a retro-style sweet shop that also includes an area for classic arcade games. Serving a plethora of options, such as ice cream, classic candy brands, milkshakes, and a variety of other sweet treats, Sunrise Ice Cream & Candy is a family-friendly environment filled with delicious desserts and fun. Sunrise Ice Cream & Candy will also offer private party options for those looking to host a special occasion. Sunrise Ice Cream & Candy will be open from 10:30 a.m. to 10:30 p.m. throughout the summer and is located at 37 Town Center, Loop unit C9. Photos attached by Jordan Crowder of SoWal Design. SANTA ROSA BEACH, Fla. (April 30, 2018)–Gulf Place on 30A announces the lineup of the Summer Sunday Concert Series sponsored by ResortQuest by Wyndham Vacation Rentals. Kicking off on June 3, 2018, each week will feature a different local or regional band, ranging in genres. Performances will be appropriate for attendees of all ages. Concerts are from 6-8 p.m. and are free and open to the public. Attendees are encouraged to bring their own chairs and blankets to enjoy the concert on the amphitheater lawn. For more information on the concert series, go to www.gulfplacefl.com or find Gulf Place on Facebook and Twitter. When looking to hire a highly professional photographer on Florida’s Emerald Coast, Modus Photography at Gulf Place is the way to go! Owner and self-taught photographer, Chandler Williams, has been capturing cultural differences, travel, surfing, beach photos, adventures, ceremonies and more for over 18 years! At Modus Photography, the creative team focusses on capturing what the average eye doesn't see and can skillfully handle your photography needs with excellence! Chandler Williams and his team have a widespread portfolio with many clients, brands and work ranging from travel and documentary to commercial and family portraits. They offer a large assortment of services including commercial, landscape, food, headshots, travel, lifestyle, portrait, weddings, videos and real estate! High-quality photos have become more important than ever, especially in today's digital world. They can help make your property look it’s best when potential buyers and renters are looking! 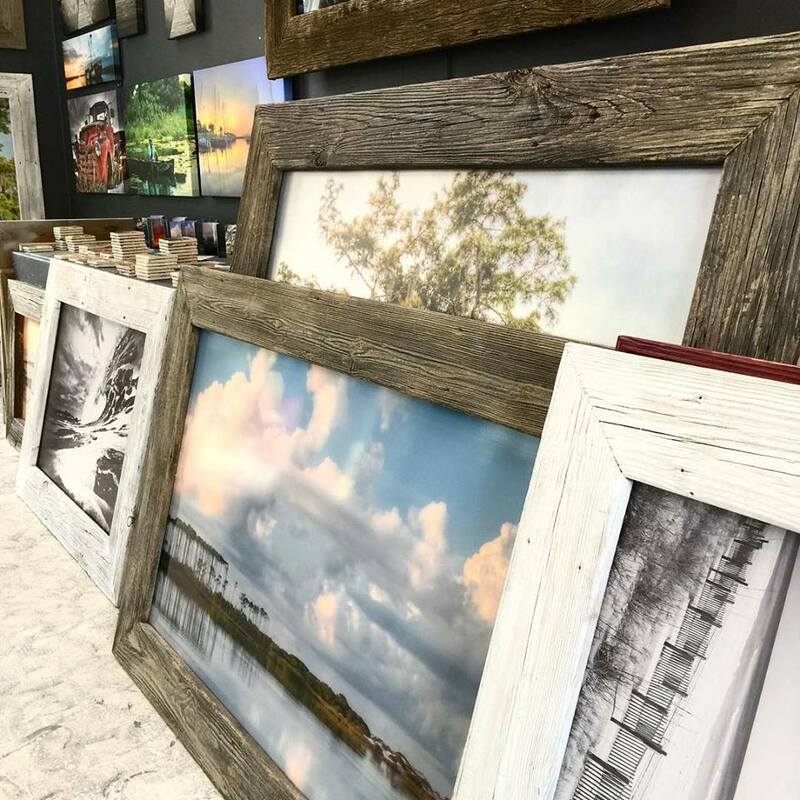 When visiting Modus photography, be sure to check out their unique selection of frames that come in all sizes and styles to fit your needs and preferences! They can customize both the frame and image to your liking. Modus Photography is the perfect photographer to capture the special moments in your life. Contact them today to learn more about their photography packages! Modus Photography is located at 45 Town Center Loop, Santa Rosa Beach, Florida 32459 at the corner of Country Road 393 and Highway 30A. They can be contacted at (850) 543-5986. Gulf Place on 30A welcomes new Veterinarian in the town center and announces a number of events beginning in 2018. 30A Vet, located in Gulf Place on Spires Lane, and Dr. Tonia Shatzel have announced a new veterinarian, Dr. Kelly Brawner, will be taking over the practice. Raised on a professional Quarter Horse farm in central Alabama, Dr. Brawner received her Bachelor of Science degree in Zoology from Auburn University, attended veterinary school at St. Matthew’s University, and completed her clinical year rotations at Oklahoma State University. Her passion to be part of a client-centered general practice that provides comprehensive care for the pets in the community has finally been realized with the purchase of 30A Vet, placing her regionally right in the middle of her family members’ homes. 30A Vet will be hosting an open house on Thursday, January 11, from 5 to 6:30 p.m. Light bites, mimosas, and dog biscuits will be provided at the event. To learn more about 30A Vet, please visit: www.30avet.com. Gulf Place is pleased to announce it will be a 2018 30A Songwriters Festival Venue Partner. The four-day music festival during Martin Luther King weekend, January 12 - 15, 2018, will feature more than 175 songwriters and over 200 performances in various venues. The lineup for Gulf Place will include artists such as Shawn Mullins, The War & Treaty, and Paul Thorn. Artists will be hosted at Gulf Place beginning Friday, January 12 until Sunday, January 14 starting at 5 p.m. everyday. For more information and updates, please visit www.30asongwritersfestival.com. The community is invited to attend the Snowbird Stroll on Thursday, January 18 from 4 to 6 p.m. Now in its third year, the Snowbird Stroll is similar to the Third Thursday Wine Walkabout. Guests check in at the stage to receive their complimentary commemorative glass and a map with all the participating merchants. Guests will enjoy live music, door prizes, wine and hors d’oeuvres at more than 15 stops in the Gulf Place neighborhood. 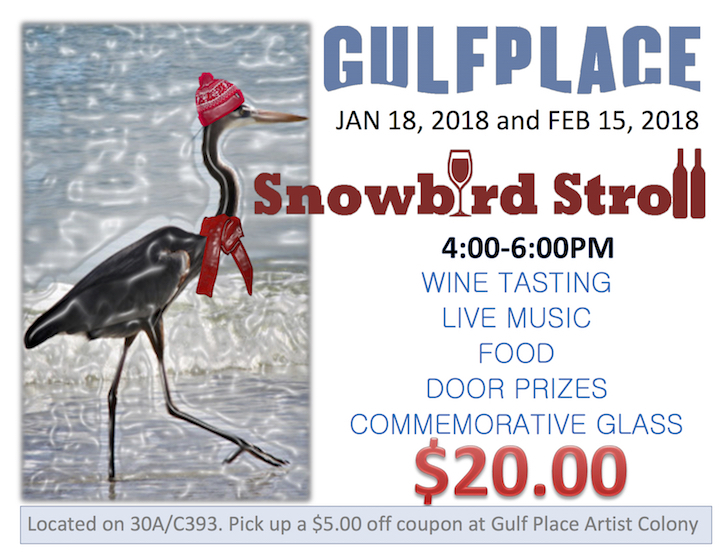 Gulf Place will host a second Snowbird Stroll on Thursday, February 15, 2018 from 4 to 6 p.m. Cost to participate is $20. 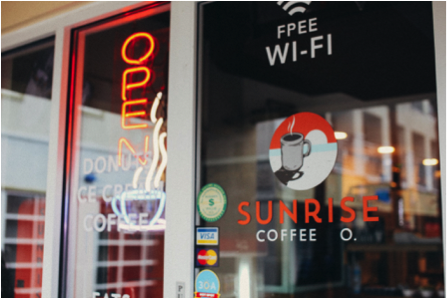 Getting to Know Sunrise Coffee Co.
How would you say Sunrise Coffee Co. is different than other coffee shops? When is the busiest time of the year at Sunrise Coffee Co.? What is the most popular holiday drink? What is the most popular sweet treat? 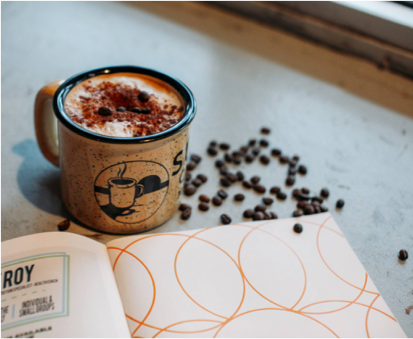 Stop in Sunrise Coffee Co. for your all of your coffee needs! The friendly baristas are ready to lighten up your day with your favorite gourmet coffee and sweet treat! Whether you live in the area or just visiting from out of town, you will feel right at home. Sunrise Coffee Co. is located at 45 Town Center Loop, Santa Rosa Beach, FL 32459 and they’re open 7 days a week from 6:00 a.m.- 7 p.m. The Gulf Place Community, Hope Lutheran Church, and Point Washington Methodist Church have joined together to host the Third Annual Christmas at the Beach event on December 2, from 1:00 p.m.-4:00 p.m. Families are invited to come enjoy Christmas workshops, children’s games & crafts, train rides, face painting, music performances, pictures with Santa Claus, and more. All activities are free and can be enjoyed by all. There will also be arts and craft vendors for one of a kind Christmas gifts and huge savings at all the Gulf Place businesses. Please support local business and to take care of everyone on your gift list.To learn more about the event, please visit: www.facebook.com/events/155806401690260. Classic Luxury Real Estate is situated in the heart of Gulf Place, off Scenic Highway 30A in Santa Rosa Beach, Florida. Their goal is to provide their clients and customers a real estate experience unequaled in the industry. Buying the perfect beach home is an exciting purchase, so take time to enjoy the experience and do not feel pressured to purchase a property that is not right for you. We got the chance to chat with Lisa Hughley, the owner of Classic Luxury Real Estate. She offered some advice to help guide you through the process of selecting the perfect beach home on the Emerald Coast! What are some helpful tips to home shopping on the Emerald Coast? What should someone consider when selecting their beach home? How can Classic Luxury Real Estate help the consumer? What are some things to know before buying a beach home? What are some things to avoid when buying a beach home? Do you have any advice for new homeowners on 30A? Offering an array of services from buying to selling and financing, Classic Luxury Real Estate is a go-to real estate company in the 30A community. They take the time to build relationships and get to know exactly what’s going to make their clients happy. Lisa and her team are ready to help you find your dream beach home! They are located at 90 Spires Lane #10A, Santa Rosa Beach, FL 32459 in Gulf Place and they can be reached at (850) 660-1962. New this year, Gulf Place will be hosting the First Annual 30-A Firetruck Pull. The event will take place on Saturday, November 4, beginning at 4:00 p.m. Teams will be made up of ten people with each team member paying $10 to participate. Competing team classes will include Men’s, Women’s, Co-ed, Firefighters, and Kids. Teams will be pulling the firetruck a total of twenty feet and the team with the fastest pull time wins. All proceeds from the event will benefit The Miami Project which conducts research on spinal cords to end paralysis. For more information and updates, please visit www.facebook.com/30afiretruckpull. The community is also invited to attend the Holiday Open House on November 24 and 25 from 10 a.m. to 5 p.m. Now in its fifteenth year, the Artist Christmas Event invites families to come out to Gulf Place to enjoy arts & crafts, music, and refreshments. Each artist will have different holiday presents available to make, such as ornaments, jewelry, raku firing, and create your own starfish, which will range in price from $12 to $30. There will be live music by Jay and the BluJays on Friday from 2 p.m. to 4 p.m. and by Sammy Jackson on Saturday beginning at 1 p.m. Santa Claus will be dropping by via firetruck on Saturday from 11 a.m. to 1 p.m. with John Holland taking photos for $5 per photo. To learn more about the Holiday Open House, please visit www.facebook.com/events/371942823261198. The Witches of South Walton, an organization dedicated to supporting the Children’s Volunteer Health Network (CVHN), with their mission, is hosting the 14th Annual Witch Ride on Tuesday, October 31st at 6:30am. Tickets are $30 in advance and $40 the morning of the ride, which includes a charity bike ride from Gulf Place to Stinky’s Fish Camp and ending with a Gathering Brunch at La Playa in Gulf Place. Purchase tickets online at www.witchride.com. This event would not be possible without the help of local residents and businesses including Sunrise Coffee, Pizza by the Sea, Shunk Gulley, Modus Photography, Classic Luxury Real Estate, YOLO and the merchants at Gulf Place. Pre-registered packet pickup and in-person registration will be held at La Playa in Gulf Place from 5:00 p.m. to 8:00 p.m. There will be drink specials for all ladies and Forrest Williams Band will be taking the stage. Special raffle tickets will be sold only at the Witches Brew to win a custom designed Witch Hat. Winner must be present to win at the drawing at 8:00 p.m.
Pre-registered packet pickup and in-person registration at The Perfect Pig in Gulf Place will be from 5:00 p.m. to 8:00 p.m. There will be food and drink specials along with the selling of raffle tickets to win a custom designed Witch Hat. Winner must be present to win at the drawing at 8:00 p.m. Arrive early and meet the other witches. 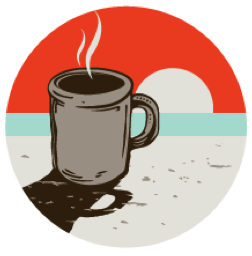 Sunrise Coffee will be providing coffee at the stage for all attendees. A portion of Laura Hamilton Blvd. will be reserved to park your bike. Information and final announcements will be given at 6:45 a.m., then witches can make their way to their bikes and prepare to ride. The charity bike ride starts at 7:00 a.m. sharp as all Witches promptly leave Gulf Place as a group. The Witches ride to Stinky’s Fish Camp and Bait Shack to line up on 30A and greet spectators. The Witches ride back to Gulf Place where a Gathering Brunch will be served at 8:30 a.m. The Gathering Brunch, contests, and raffle ticket drawing will be held on the patio at La Playa. The Gathering Brunch includes a selection of pastries, fruit, bacon and eggs accompanied with mimosas (limited to 3). La Playa will also have a cash bar with all your favorite drinks. $50 prizes will be given to the Witch with the “Best Decorated Bike,” “Best Witch Costume,” and “Best Witch Cackle”. Raffle items will be donated by local businesses. To support their neighbors displaced by the recent hurricanes, Casey Kearney & April Roach, with the help of 30A Event Planning, hosted a fundraiser and invited local businesses to give back. The “Bands of 30A Storm Relief Concert” was held at the Gulf Place amphitheater on Sunday, September 17, 2017, where all proceeds from the event were donated to Matthew 25 Ministries, an international humanitarian aid and disaster relief organization, who had volunteers aiding Houston and Florida Keys Hurricane victims at the time of the event. With help from Bands of 30A, the event generated an estimated 1,000 people to gather and enjoy live music by local artists throughout the day. The lineup included the Allman Goldflies Band, Casey Kearney, Chris Alvarado, Dread Clampitt, Forrest Williams Band, Sam Jackson, Scott Crompton, The BluJays, and Will Thompson. With sound and equipment support provided by G2 Entertainment and Scott Crompton, the concert went off without a hitch. The Santa Rosa Beach community was a huge factor in making this event come to fruition so quickly. Sponsors included 30A, 30A Event Planning, 30A Life Photography, 30A Soft Spot, Alive and Kicking – Kickbike, Artists at Gulf Place, Better Homes and Garden Real Estate of the Emerald Coast, Coastal Insurance, East Village Fashion, Eloquent Signs, G2 Entertainment, Gulf Place, Homes on 30A, Impact Designs, ipromoteu, Justin Gaffrey Gallery, Kansas Pitts Photography, One Blood, Oyster City Brewing, Proffitt PR, and The Well Church. “The event was put together very quickly, but because of the generosity of the community and eagerness to help it was more successful than we ever imagined,” said host and musician Casey Kearney. Although 30A Storm Relief was free to attend, concert goers were asked to make a $10 donation for full day access to the festivities. Grayton Beach Catering helped raise funds by plating meals for sale, in which 100% of the proceeds went back to the relief fund. Oyster City, Bayou Bills, and Stinky’s Fish Camp were also on site to provide guests with libations. Altogether, the event raised a grand total of $13,000, to Matthew 25 Ministries, which will all be going directly to aide those affected in Houston and the Florida Keys. In addition to monetary donations, guests were encouraged to stop by the OneBlood Bus to give blood. The OneBlood Employees expected 12-15 people to donate, however the event superseded their expectations with an astounding 34 donors throughout the day. In turn, OneBlood was able to help 102 patients in need of blood in one day. What inspired you to open Pizza by the Sea? We purchased the first location of Pizza by the Sea in Watercolor in 2011. We were attracted to this business because of the whole package: amazing pizza with fresh ingredients, a family-friendly atmosphere, and fun beach location. We had vacationed on 30A and loved it here. We then opened a second location in Gulf Place in 2013 and a third location in Seacrest Beach in 2016. What pizza would you recommend that everyone should try? And do you have a go-to menu item that you love? A pizza everyone should try: Spaghetti and Meatball pizza!! It sounds a little strange but tastes so amazing.